The TRIMEK SKY range of gantry-type measuring machines is available in automatic mode for measurement, digitising or scanning of large-format parts, to a high level of precision. With regard to measurement applications, this model is particularly recommended for measuring geometric features, free forms and inverse engineering, and so the unit can operate with optics and contact feelers (digital or analog). The TRIMEK SKY measuring machine is the perfect machine for measurement of die-stamps, moulds, mock-ups and simple parts, in sectors where precision is of the essence such as the aeronautical industry, the wind power sector etc. The air bag support system on all axes allows smoother and lighter movements which considerably enhance its time-stable precision. The components are cast for greater sturdiness. 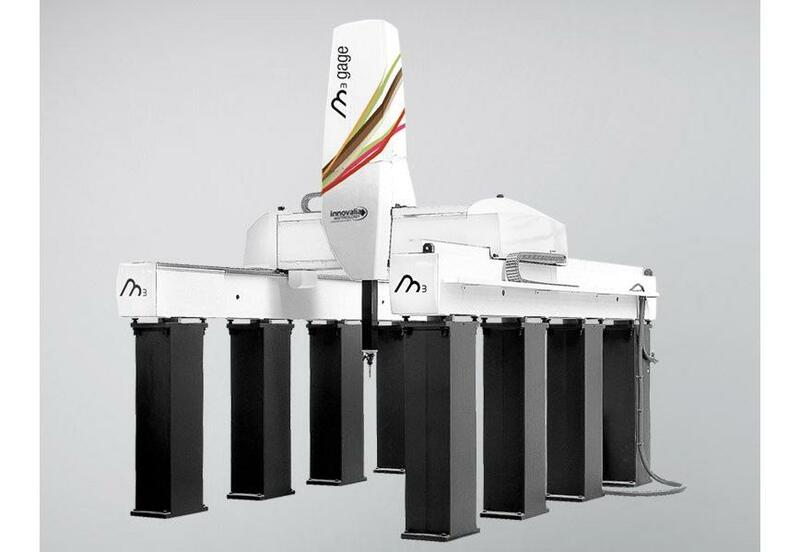 The main characteristic of the TRIMEK SKY unit is that the X-axis positioning system is controlled by two reading scales (X and S) for better mechanical positioning and real-time correction of the dynamic effects of the X-axis. The TRIMEK SKY unit can be made with or without a table attachment. Slides may be fitted to cope with heavy parts and any other customised features provided for our customers.